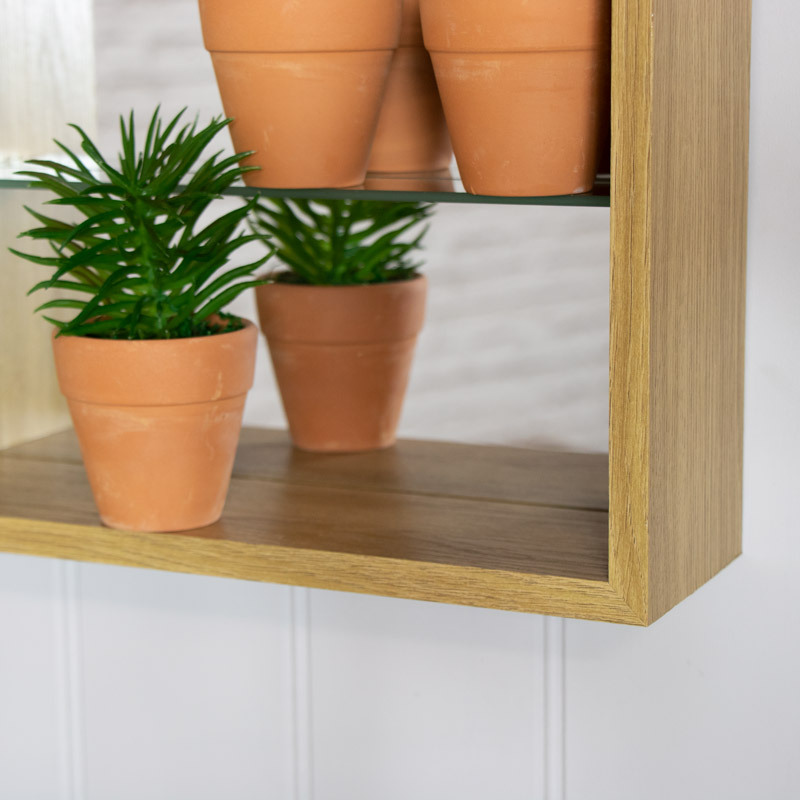 If you love the Scandinavian design this Natural Wood Mirrored Back Display Shelf is the perfect piece for you. Whether you use it to display your favourite ornaments and trinkets, it will look fantastic in a modern and contemporary style home. This would be a great look for any room of the house. 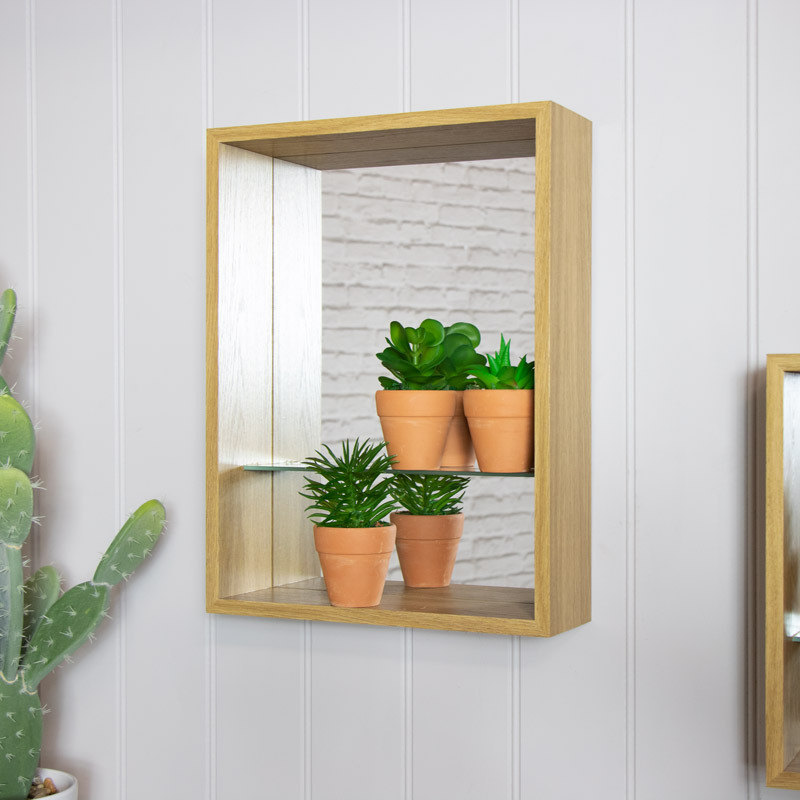 Constructed with a wooden frame in a natural finish with mirrored back and internal glass shelf. Easily wall mounted with 2 brackets on the back for affixing to wall hooks (not included).